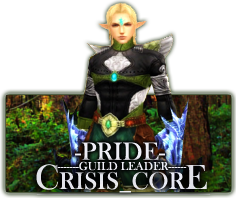 Crisis_Core on top guilds for teos server, shaiya! Re: Crisis_Core on top guilds for teos server, shaiya! I'll keep my eyes out for people... I've been in parties a lot lately (since priest is soooo much better with a party), so I can ask around in those. I would usually be looking for people that are not so much high leveled and stuff, but play a lot (eventually they'll get to a high level)... That is a problem though, since everyone in the guild seems to be level 30, so i can't really help them out. Anyway, welcome to the website, pride. Feel free to change whatever you like. K ill try to get as many people as i can! oh thats kinda dumb it should trak our stats and stuff.